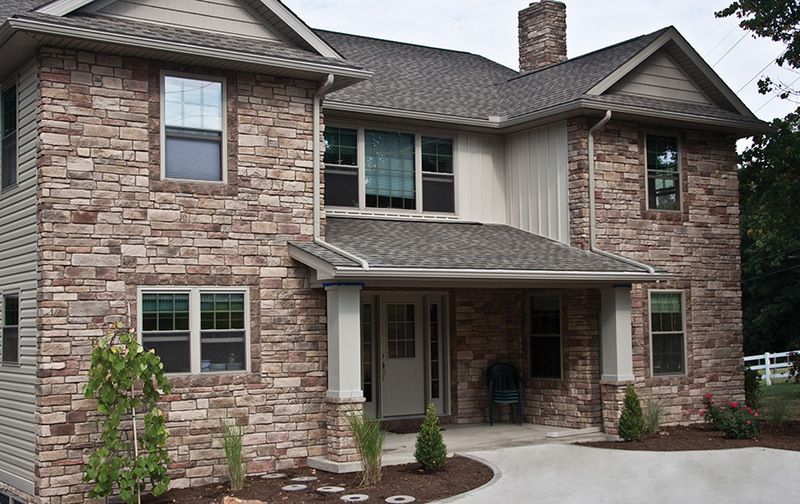 Stone as a siding material has two main options: natural and faux. The price difference between the two can be as much as $20 per sq. ft. Aesthetically, the two options are nearly identical and many of the benefits are the same. Did you know? Natural stone will last about twice as long as faux stone veneer. Faux stone, also known as Cast or Manufactured Stone Veneer (MSV) consists of concrete and utilizes dozens of pigments to achieve its color. Mostly it is made to look as close to natural stone as possible. 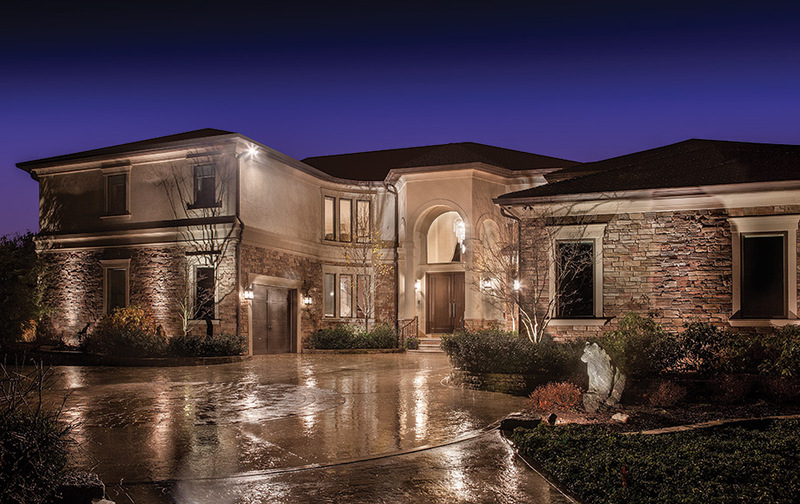 Often, the beauty of natural stone is overlooked. Rock can be anywhere from light in color, to dark, to even blue and red. For MSV to mimic the natural stuff, it must also be cast from molds that are shaped by natural stone pieces. Once finished, faux stone becomes a lighter and less expensive option to ship, install and ultimately to pay for as a consumer. Because of how labor intensive working with stone is, you’ll probably want a mason or experienced stone siding contractor to handle the workload. Not only is it heavy lifting if you choose to go the DIY route, but the skill and sense of time that routinely comes with working with mortar is challenging. Natural stone ranges in price from $17.00 to $29.00 per sq. ft. installed. It is certainly among the most expensive siding materials, but it does offer the benefits that a few can match. The ROI for natural stone is above the rest at 92%, and its insulation qualities, or R-Value, is excellent. — It can go as high as 5.0, while most materials reside under the 1.0 mark. Because stones vary in shape and style, it is challenging to account for all the possibilities, but suffice it to say, natural stone has great benefits in terms of investment and energy efficiency. Cast stone installed costs $11.00 to $18.00 per sq. ft. Again, it benefits from being lighter and is more cost effective solution for having the look and feel of stone siding. For a typical two bedroom home, natural stone’s overall cost can range from $39,000 to $65,000, while MSV cost ranges from $24,000 to $41,000. There are a number of factors that impact price which we’ll view below. One of the foreseeable problems with stone siding is that it does its job so well that any moisture trapped behind the siding (or exterior wall) could pose problems down the road. — This is another reason why going with a professional contractor is in your best interest, and where experience on the job helps enormously. Below, we’ll break the costs down based on materials and on the job considerations. This may make it seem like the job is not all that challenging, but in reality, it’s highly labor intensive. Please note that these are ball park estimates based on national averages for cost. First consideration is whether older siding needs to be removed and disposed of. — This is more likely to come up with MSV than with Natural Stone. A moisture barrier and lathe must be applied to a flat, dry surface. While removal and disposal of previous siding can add a couple thousand to the overall cost. Keep in mind you are making room for a superior product that needs to have a suitable surface which can appropriately handle the application. With both Natural Stone and MSV, another factor that contributes to the wide range is that not all stone is the same. That’s a great thing. Diversity in selection is a nice problem to have in any market. The only problem is finding what most appeals to you. Chances are contractors will have a suitable selection that they effectively market and install, so you are essentially limited to those offerings. But this is another reason to get multiple quotes. Additional materials can contribute either significantly or slightly to overall project cost. The materials necessary for putting up stone siding are usually, as noted in our examples above, about $1.00 per sq. ft. or less. If however, you are updating features on the exterior such as window trim, then that would add thousands or even tens of thousands, especially if soffits and eaves are included in that figure. 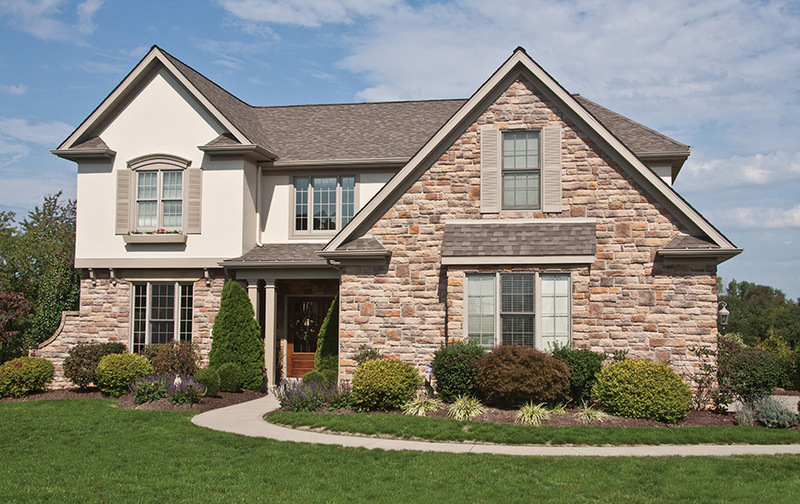 Here we note the pros, cons and chief reason for why to consider stone siding. The Good: Stone is ultra durable and last as a cladding longer than all other products. Mother nature has been in the manufacturing of stone business for awhile and producing beauty and color that rivals the best of all other materials. MSV though keeps making improvements and has reached a point where it rivals natural stone in terms of aesthetics. Stone is also fire and insect resistant. Furthermore, there’s very little maintenance with stone siding and the ROI is top notch. The Bad: Stone is very expensive. If comparing natural stone prices to pretty much all other options, those will seem cheap, even while some of them have their own benefits and decent ROI. Plus stone is labor intensive and if done wrong can lead to problems for the the home down the road. Also, if repair is needed, this can either be expensive or virtually impossible to find a stone that matches what was originally installed.